With an average July high temperature of 104 degrees, air conditioning is a necessity for safe, healthy living in Gilbert, AZ. No one wants the AC to go out on a day with triple-digit temperatures or have the heat quit working on a chilly December night. Cooper Climate Control understands how important it is for your HVAC system to work properly, which is why we work quickly and efficiently on every call. 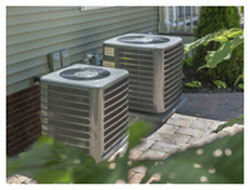 Cooper Climate Control is one of the most trusted air conditioner installation and service companies in Gilbert. We respond to calls for both homes and businesses with the same high standards of service for both. Whether you need HVAC repair, are ready for a new, energy-efficient installation or simply want to purchase a maintenance plan to ensure your unit stays in working order, Cooper Climate Control has what you need for comfortable living. Cooper Climate Control offers free quotes for AC and heating repair throughout Gilbert, AZ. In addition to professional installation services and A/C and heating repair in Gilbert AZ, Cooper Climate Control also provides duct testing services to improve the function and air quality of your forced-air HVAC system. At Cooper Climate Control, we focus on creating customers for a lifetime. We have set high standards and aim to exceed expectations on every call. Our specialists are certified through North American Technician Excellence (NATE) and the Building Performance Institute Inc. This gives you confidence that each and every job will be done properly, using time-tested techniques with a proven record of success. 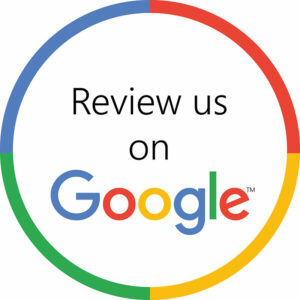 There’s a reason so many people rave about our services! Whether you are a first-time customer or have already enjoyed top-notch service from one of our technicians, we recommend opting in to a Cooper Cares™ Preventative HVAC Maintenance Plan. Our maintenance plans give you priority over other service calls and a variety of perks, including discounts on your AC repair, same-day service (including after-hours emergency calls with no overtime charges) and an industry-leading money-back guarantee. You can rest easy knowing that your unit will be fixed the same day you call or Cooper Climate Control will find accommodations for you at a nearby hotel – at no cost to you. Don’t tolerate an ineffective HVAC system that leaves you uncomfortable in your own home or place of business. Contact Cooper Climate Control today for a free estimate and get service from one of our trained technicians on your schedule.